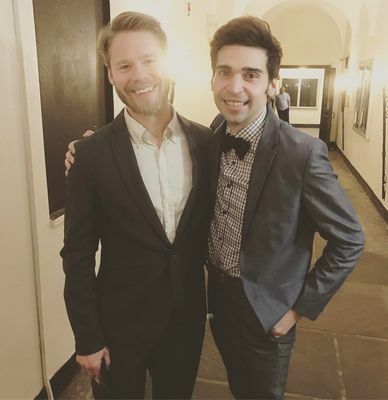 Randy was named as "Outstanding Visiting Actor" for his role in Cabaret during the 35th Elliot Norton Awards ceremony. Congratulation!! In Autumn 2017 Randy will be in London! 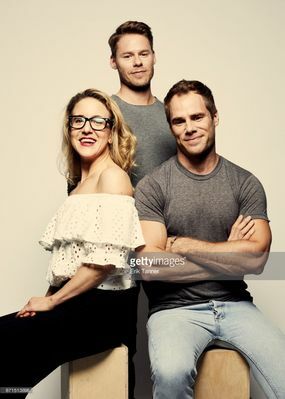 He will attend an interesting event described as "a weekend of performance, discussion, Q&A and an exclusive private preview of a developing solo musical performance piece." The event is by invitation only and it is organized by Betsy, so you have to DM her to have more information and to be invited! Places are limited, so hurry up!! You can DM her on her Twitter. 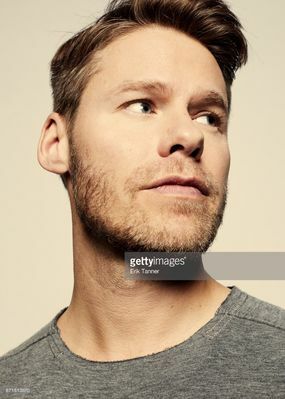 The short Photo Op, written and directed by Dave Solomon, starring Randy Harrison in the role of a photographer, will be part of the "Best of Fest"!! The outdoor free screening will be in Sunset Park (NY) on June 3rd. 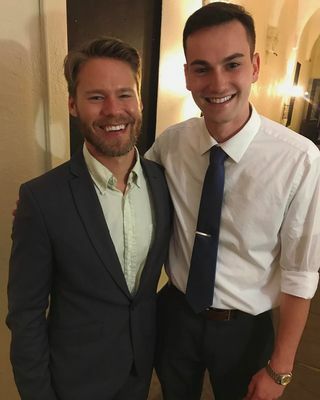 A new musical for Randy! Randy will play French pointillist painter George Seurat in the musical "Sunday in the Park with George"!! Music and lyrics are by Stephen Sondheim, the book by James Lapine. The musical is directed by Joseph Haj and Erin Mackey will play Seurat's lover and model, Dot. The show will be on stage from June 17th to August 20th on the Wurtele Thrust Stage. "Inspired by Georges Seurat's 1884 painting, A Sunday on La Grande Jatte, Sunday in the Park with George merges past and present into a poignant and sophisticated exploration of what it takes, and what it costs, to be an artist. George is an obsessive painter who risks it all, including his relationship with his lover Dot, to complete his latest masterpiece. A century later, George's great-grandson is working as an artist in New York City. In search of inspiration, he soon discovers that the answer to his future is painted clearly in his past." Click HERE to have more information about the show and HERE to buy tickets!! 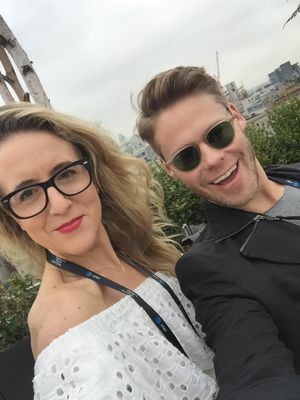 We added to our gallery two new pictures of Randy with Jenn Harris!! 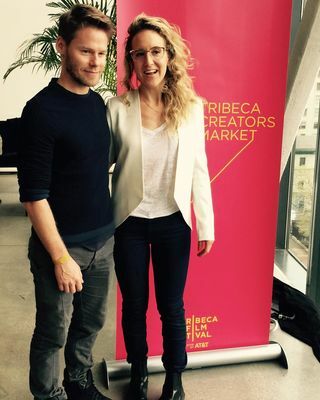 After the successful screening of "New York is Dead" at the Tribeca Film Festival, Jenn Harris posted on her Vimeo channel the first episode of this webseries and a few clips. Thank you so much Jenn for these treats! NEW YORK IS DEAD Episode One from Jenn Harris on Vimeo. New York Is Dead Clip 1 from Jenn Harris on Vimeo. New York Is Dead Clip 2 from Jenn Harris on Vimeo. We made some screencaps from the episode, click HERE to see them!! We added to our gallery some new wonderful pictures of Randy!! 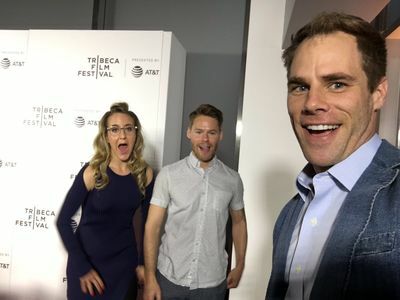 A huge THANK YOU to our dear Betsy, who gave us the permission to share her pictures taken at the Tribeca Film Festival!! 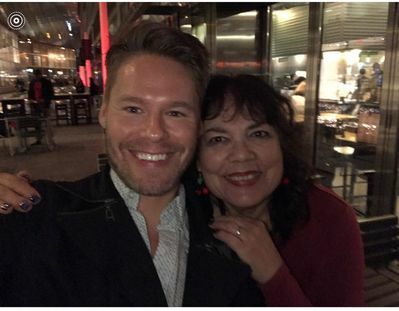 After the second screening of "New York is Dead" last night at the Tribeca Film Festival, Jenn Harris shared on her social media a bunch of photos taken on both days with Randy Harrison and Matthew Wilkas. Congratulations again for your work and thanks for sharing photos, Jenn!